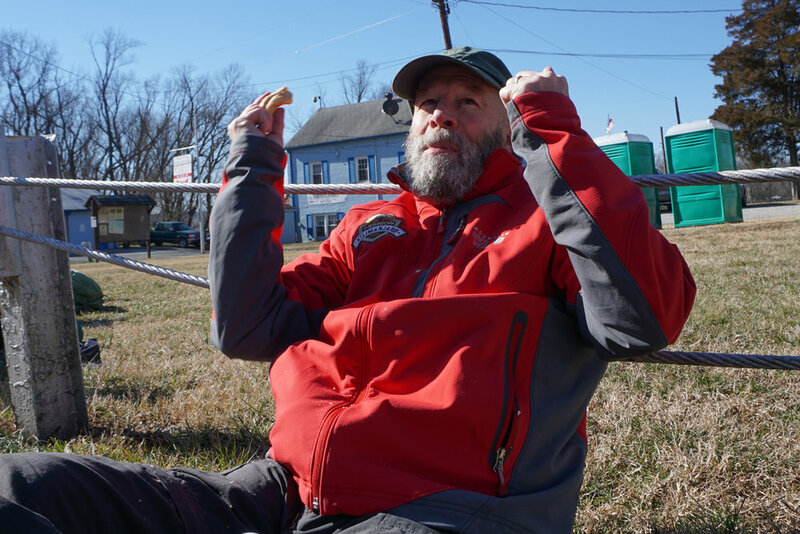 We gather at 3:00 a.m. Saturday, February 8th, at the starting point at Anglers Parking Lot of the C&O Canal, across from the Old Anglers Inn. We expect to fill our maximum quota of 200 Kennedy Walkers for 2020, so plan on committing early. And, early registrants can take advantage of lower fees. Six support stops are planned along the 50-mile route. These stops range from water/electrolyte/power bars to a full breakfast stop, lunch sandwiches and hot soup/chili as the day grows long. This year we are working on improving our support supplies based on your feedback. Our aim is to get you to the end - or as far as you can go. We’ve got your back. But there's more with extended support services such as shuttle transportation between sites, pre and post event buffets and more. We are working out the details for lodging and other partner support for the Kennedy50 event in 2020. We welcome your interest and involvement and encourage patronizing them. They help make the Kennedy50 a special and unique event. We expect to finalize our official lodging recommendations and staging locations by mid-year if not sooner. Check back here as plans are finalized. Click here for more information on how your organization can help as a sponsor. Help make this event even better. Our event partner, the East Coast Greenway connects 15 states, 450 cities and towns, and 3,000 miles of people-powered trails from Maine to Florida —the country’s longest biking and walking route. The 50-Mile Kennedy Walk starts very early in the morning in early February at the C&O Canal Old Anglers parking area in Potomac. A convenient free shuttle service is provided for all registrant walkers from Harpers Ferry (our destination) to the start. Otherwise, there is plenty of free parking at Old Anglers. A return shuttle service is provided to all if you prefer to return to your car either Saturday evening or Sunday from Harpers Ferry. The walk starts at the C&O Canal Old Anglers parking area in Potomac, Maryland and ends at Harpers Ferry, West Virgina. The walk is entirely on the C&O Canal towpath, a popular multi-purpose trail, albeit mostly in warmer months. Once you reach Harpers Ferry a ride is provided to the event hotel which will be determined shortly. As the C&O trail extends for 185 miles along the Potomac, this 50-mile event is almost entirely on the trail until crossing over the river to Harpers Ferry. Last year we had the additional challenge of shuttling around or walking around a traitorous 30 foot gorge caused by a washout that separated the trail. We expect that problem to be fixed this summer so it should not be a problem in 2020. Support is generally limited to six lockhouse access areas unless emergency help is needed. A pick-up relief ride is provided if a participant cannot make it to the end. Participants who park at Anglers will be shuttled back to the start at the end of the event.